At the bilateral level, Moscow and New Delhi are poised to make a trajectory shift, especially in the realms of two-way mutually beneficial economic linkages. “Russia is an abiding friend. President Putin and I have held long conversations on the challenges that confront the world today. Our trusted and strategic partnership, especially in the field of defence has deepened. …..We appreciate the compelling logic of regional connectivity for peace, progress and prosperity. In our choices and through our actions, we have sought to overcome barriers to our outreach to West and Central Asia, and eastwards to Asia-Pacific. Two clear and successful examples of this are the tripartite agreement with Iran and Afghanistan on Chabahar; and our commitment to bring on line the International North South Transport Corridor”- Indian Prime Minister Narendra Modi, Second Raisina Dialogue, Jan. 17, 2017, New Delhi. The question as to what can be expected in India-Russia relations in the coming year and in near future can be derived from the above statement. The relations are going be wide-ranging, albeit bilateral but with global ramifications. The world of today faces enormous challenges of conflict, terrorism and migration with significant ramifications for geo-political landscape. Further, the implementation of Paris Agreement addressing climate change remains a daunting task. On the economic front, global growth recovery, sluggish trade, low oil prices, trends towards protectionism and most importantly, unemployment in both the developed and developing worlds would constitute the major set of global maladies. India and Russia are expected to play a synergetic role in terms of providing innovative options to address these enormous challenges. This would entail both generating new ideas and fresh approaches but also facilitating global negotiations and coalition building with economies of the US, EU, Japan and ASEAN on one hand and making the BRICS, WTO and G20 more result-oriented. At the bilateral level, Russia and India are poised to make a trajectory shift, especially in the realms of two-way mutually beneficial economic linkages that are symmetric in terms of distribution of economic gains. A major development in this context is expected in terms of commencement of negotiations on a Free Trade Agreement (FTA) between India and the Eurasian Economic Union (EAEU) in 2017, encompassing trade in goods, trade in services and investment. Within this emphasis on energy cooperation and extension of Green Corridor to the entire region would be crucial. The advantages accruing to Armenia, Belarus, Kazakhstan, Kyrgyzstan, and Russia on one hand and India on the other are expected to be enormous via the trade and investment effects. It is against this backdrop that the Chabahar port development and operationalization of the International North-South Transport Corridor (INSTC) are the areas to look for as these will help augment trade and investment by considerable reduction in both time and transportation costs. Recent developments by way of India’s preparedness to sign the Transports Internationaux Routiers (TIR) or the customs convention on the international transport of goods would be a crucial dimension to look for. Such regulatory harmonization efforts help achieve efficient trade facilitation. This also has the potential to allow Russia to explore trade opportunities in South and Southeast Asia. As part of the 70th anniversary of the establishment of India-Russia Diplomatic Relations, there are several areas of cooperation and partnership that could be looked into. These include trade and investment partnership in engineering, which could be intensified with Russian participation in International Engineering Show in 2017 in India. Similarly, the Small and Medium Enterprises Forum between Russia and India is expected to provide for new opportunities of industrial collaboration in this employment-intensive sector at a time when both countries are keen on developing manufacturing skills and facilities and increasing exports to third countries. An emphasis on the engineering sector and focus on the SMEs offer Russia opportunities for exporting capital goods and investment in both electrical and non-electrical goods. India, on the other hand is expected to gain in terms of employment generation, skill formation and competitive manufacturing. Overall, these augur well for Indian flagship programmes such as ‘Make in India’ and ‘Skill India’. Some of the specific sectors where there is enormous potential for trade in goods and investment that have employment generating implications in both the countries include chemicals, pharmaceuticals, fertilizers and agricultural production. Collaboration in areas of trade in services may include IT, Cyber security, R&D services including biotech, life sciences and robotics, agricultural extension services among others. The ‘Digital India’ programme and digital services have assumed a new significance in the wake of demonetization in India. This would require setting in place high-end digital infrastructure and cyber security regimes. A two-way flows of tourists has immense potential however, a more concerted effort is required to bridge information gap and put in place travel and tourism infrastructure for income generation and foreign exchange earnings from the sector. This has important implications for catering to the cultural connectivity as well. 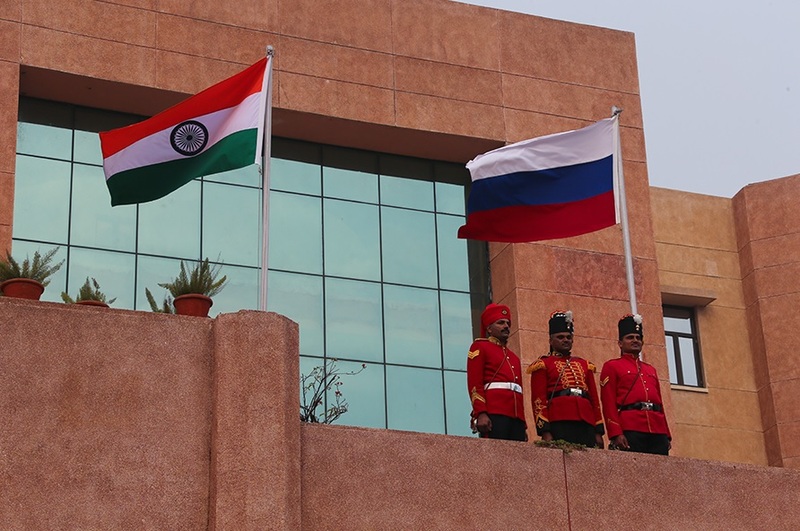 One could expect the 70th anniversary of India-Russia Diplomatic Relations to serve as a turning point for the revival of the ‘trusted and strategic’ partnership between the two emerging economies and rich cultures. A number of positive developments and outcomes of the recent past are expected to continue and gain momentum further strengthening the trade and economic ties as well as deepening the defence and strategic cooperation between the two countries. Ram Upendra Das is professor at the Research and Information System for Developing Countries (RIS) in New Delhi. Anup Kumar Jha is a research scholar and visiting faculty member at University of Delhi, New Delhi. Views expressed in this article are personal.